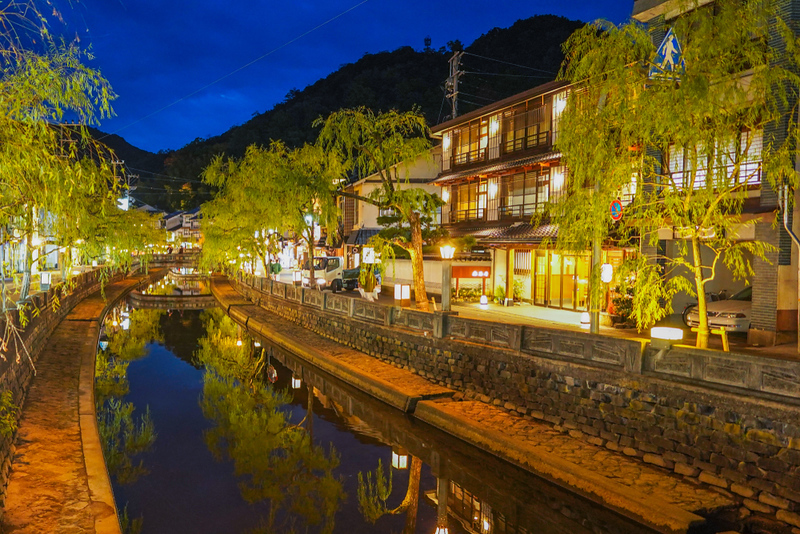 Kinosaki Onsen is a picturesque village on the Japan Sea Coast, two and a half hours north of Kyoto by direct train. 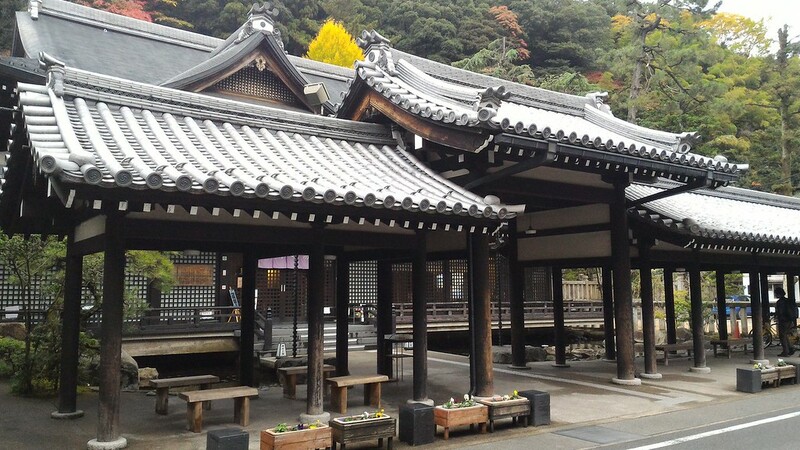 It’s one of the best places to enjoy an onsen (hot spring) within easy distance of Kyoto. Here is a full guide to Kinosaki’s onsen, ryokan and restaurants. Kyoto is a great place to experience Japanese culture, but there are only a few onsen in Kyoto itself. If you’d like to try the full onsen experience – staying in a ryokan with a private onsen, as well as enjoying good public onsen – Kinosaki is your best choice. Yes, there are closer onsen (Arima and Kutsuki etc), but Kinosaki is the real deal: A whole village built around baths. And, unlike so many other onsen in Japan, it has not been destroyed by ugly concrete overdevelopment. Instead, Kinosaki retains its old charm with traditional buildings lining a beautiful canal that runs through the town. 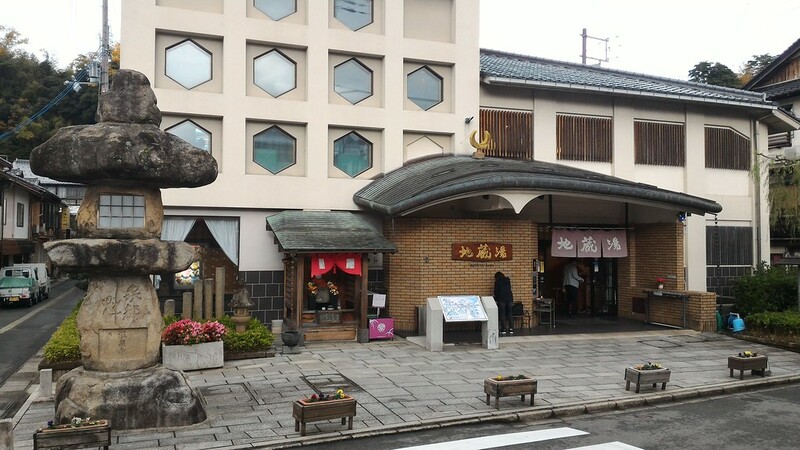 Kinosaki has seven public onsen that are called “soto-yu” (outside hot water) that anyone can enter. If you’re staying at one of the town’s ryokan or hotels, you can enter these for free (you’ll need a scannable bracelet from your lodgings to enter free). If you’re just there for the day, you can simply pay cash (Y800). 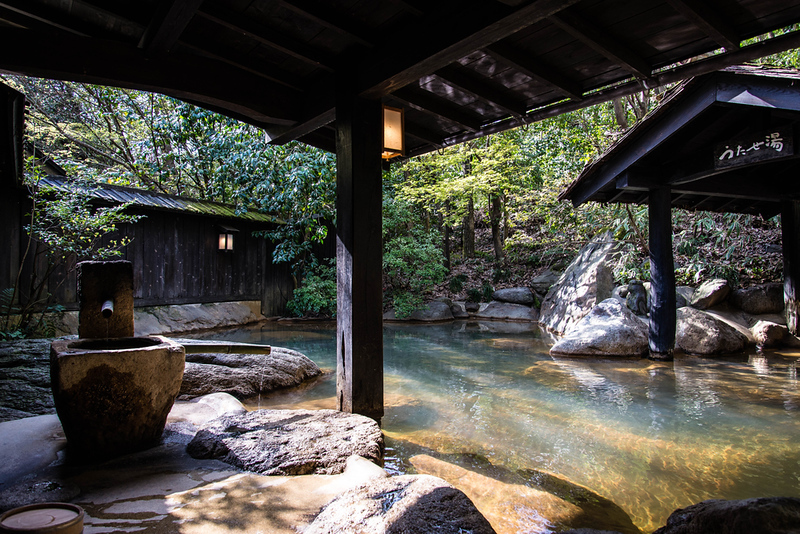 In addition to the soto-yu, most hotels and ryokan in the village have their own private onsen that tap into the town’s natural geothermal water. 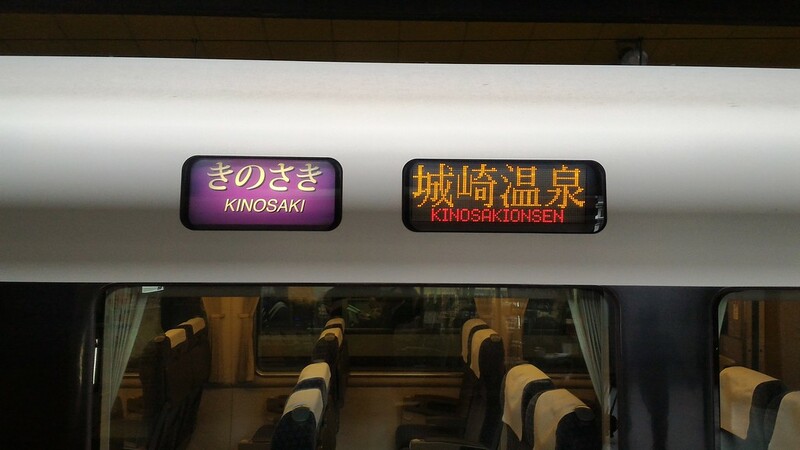 The best way to enjoy Kinosaki is to take the direct express JR Kinosaki-go from Kyoto so that you arrive around 3pm in Kinosaki. Then, check into your ryokan, change into your yukata (robe) and then soak in a few of the soto-yu, then return to your lodgings for dinner. Then, after dinner, head out again to enjoy a few more soto-yu. 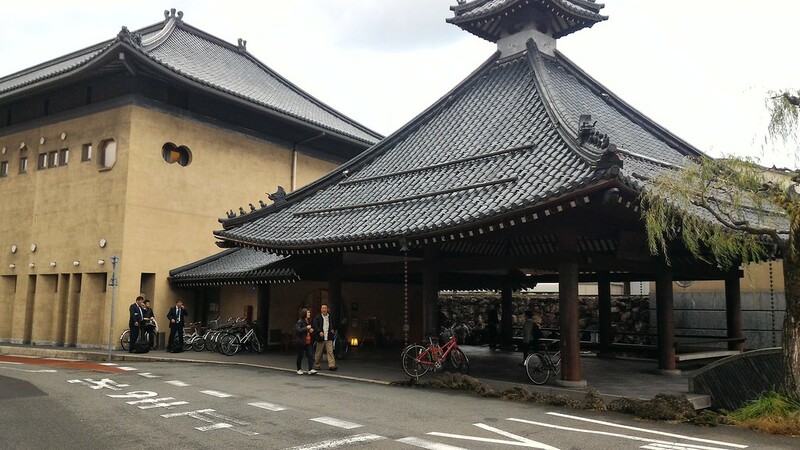 Then, after spending a relaxed night in Kinosaki, head back to Kyoto around noon the following day. Or, head on to your next destination, like the Tango-hanto Peninsula (see later on for details). Note that all the places mentioned in this article are shown on our Kinosaki Map (at the end of this article). When Is the Best Time to Go to Kinosaki? You can visit Kinosaki any time of year. 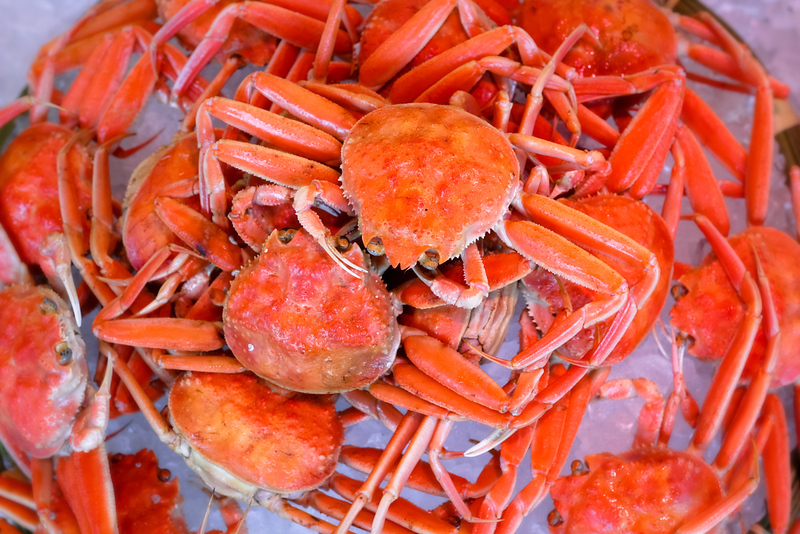 Japanese visitors tend to go in the winter (November to March) to enjoy the snow crab, for which this area of Japan is famous. 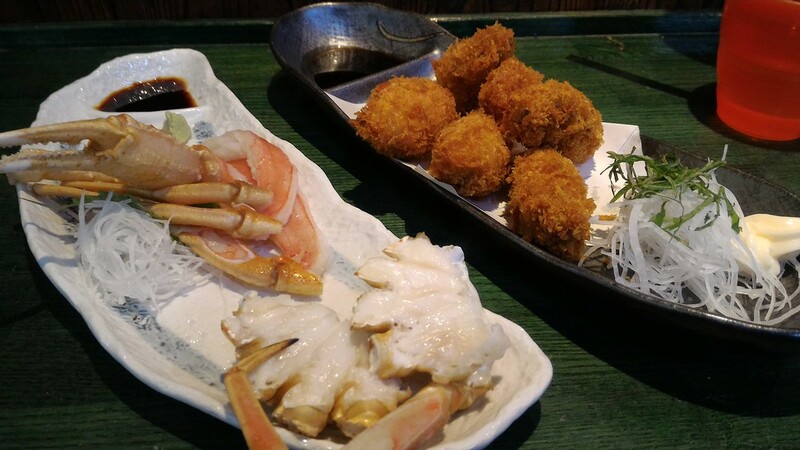 And, there’s no doubt that the combination of great onsen and delicious crab cuisine is hard to beat. 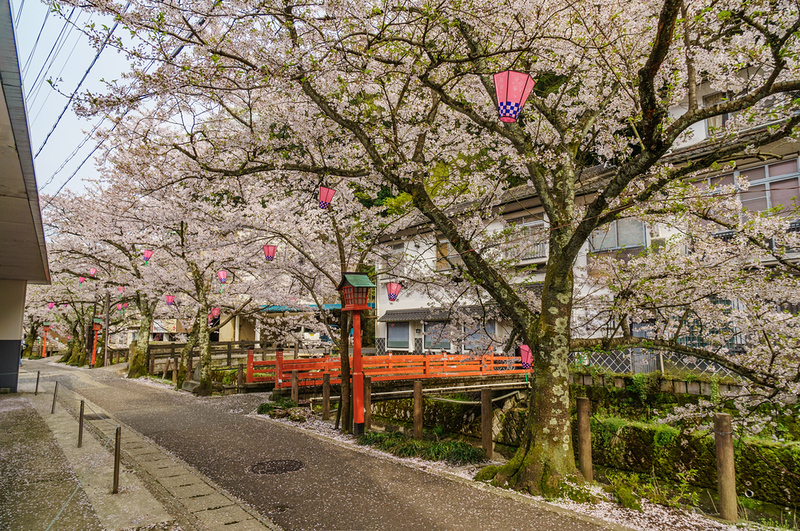 Kinosaki is also beautiful during the cherry blossom season (late March and early April) and the foliage season (October and November). But, really, the best time to visit Kinosaki is anytime you want to really relax. Sure, an onsen isn’t that tempting in a hot Japanese summer, but you can always cool off in a cold bath after soaking in the hot tubs. Kinosaki is connected to Kyoto by the JR Sagano-Saiin Mainline. 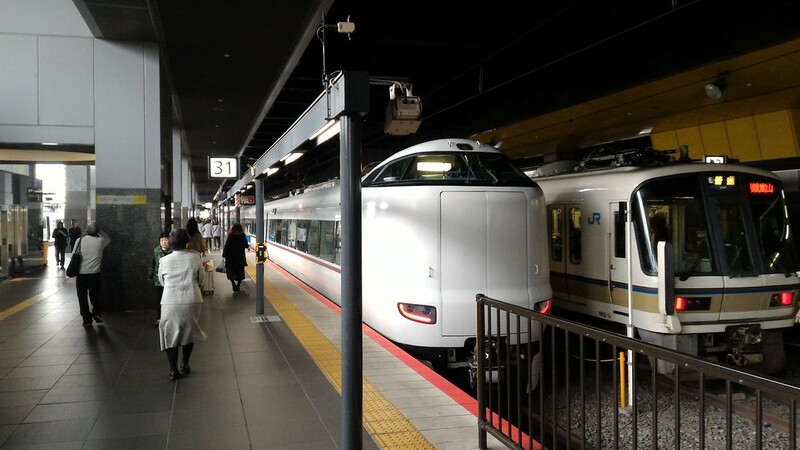 The comfortable direct express Kinosaki-go runs between Kyoto and Kinosaki three times a day. 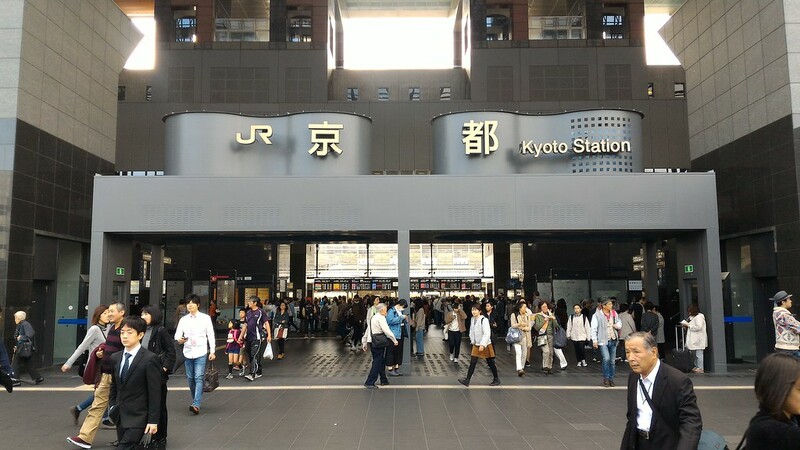 The most convenient departure leaves Kyoto at 1:25pm and arrives in Kinosaki at 3:50pm. The trip takes just under two and a half hours and costs Y4320 or you can use a Japan Rail Pass. If you’d like the freedom of having a car to explore the nearby coastal regions, you can rent a car in Kyoto and drive up. The drive will take about the same time as the train if you go non-stop. Here’s a basic description of the train route. From the main (Karasuma) entrance, take a right immediately after you pass through the turnstiles. Walk toward platform 31 (this is near the Haruka Airport Express platform). 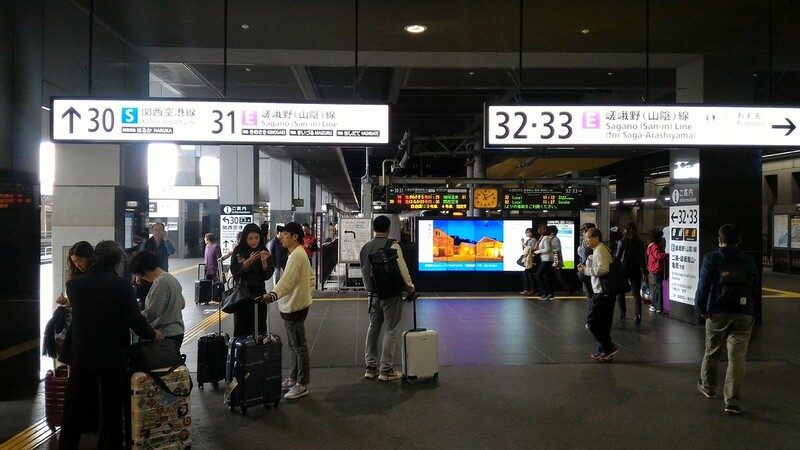 Just before the platforms, you’ll see a sign showing the coming departures in Japanese and English. The Kinosaki-go usually departs from platform 31. The Kinosaki-go is clearly marked in Japanese and English. Check the overhead signs to find where to wait. If you don’t have a reserved seat, look for the unreserved cars. There’s usually a line for these. 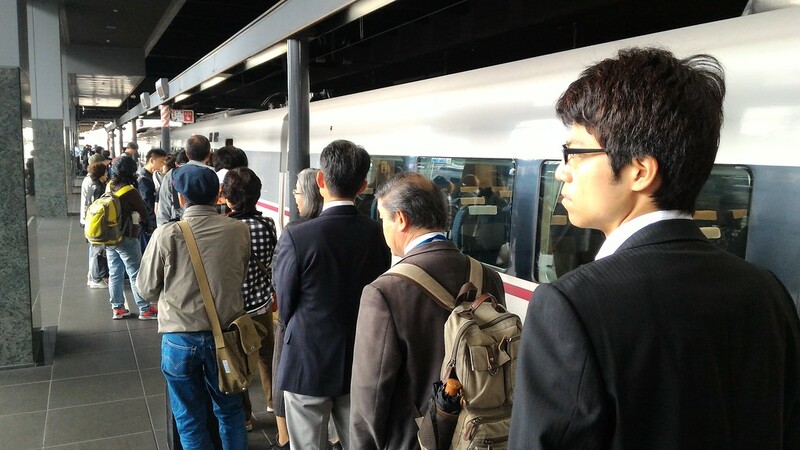 In busy seasons, this train can be fairly crowded. So, get there around 15 early and stand on line, or book a reserved seat at the JR ticket office. 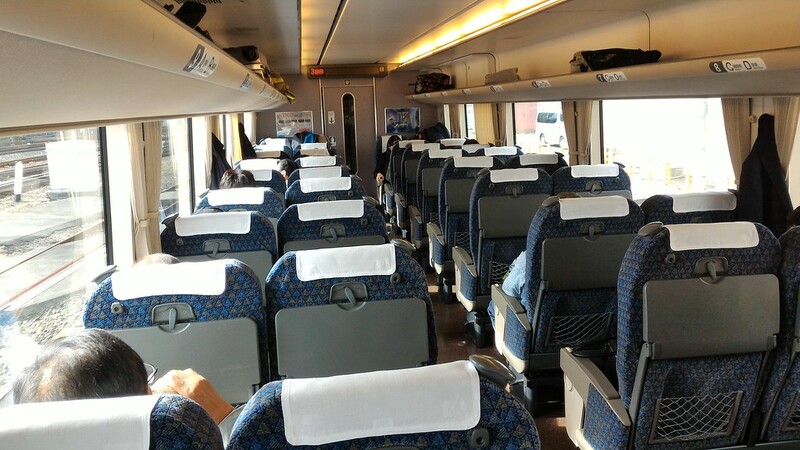 The train is quite comfortable, like other JR tokkyu trains. If you want extra comfort, go for the green car (you’ll need a reservation for that). 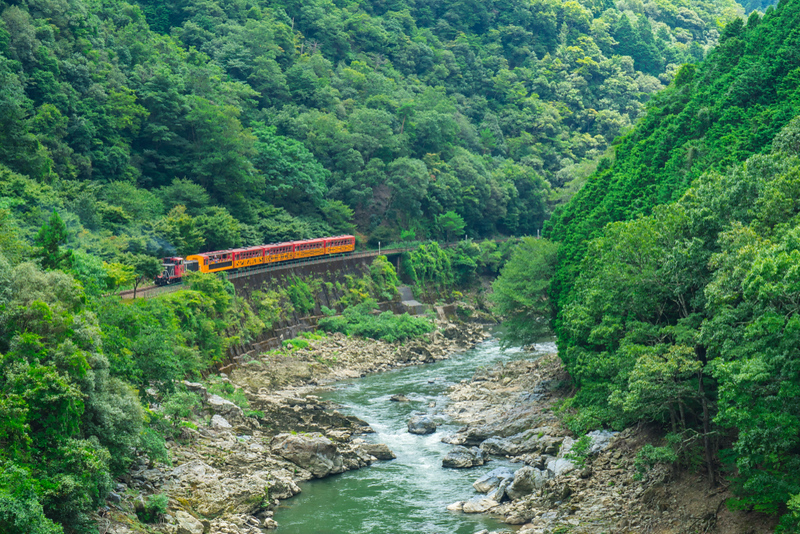 The train passes through some nice scenery, starting with the gorges of the mountains just west of Arashiyama. 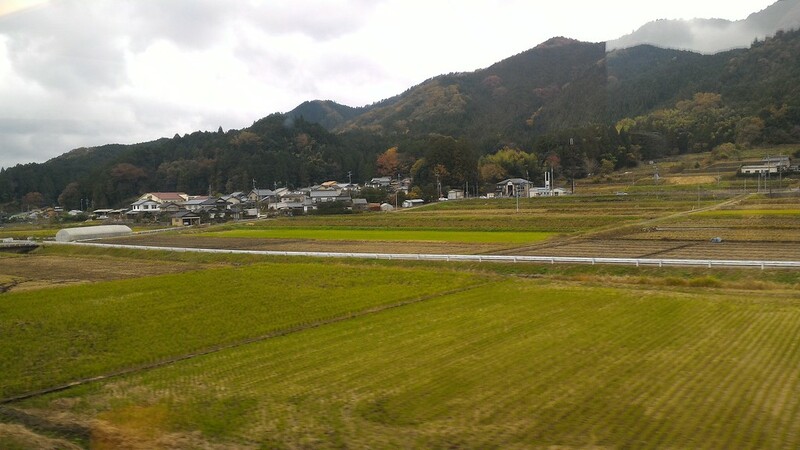 After passing through Kameoka, you’ll enter some pleasant rural areas of northern Kyoto. I went up on a rather drab fall day (see the following pic), but on a clear day, you’ll get some very picturesque views. As soon as you emerge from Kinosaki Onsen Station, you will see a taxi rank and bus stop. Most ryokan have buses or vans that meet arriving guests. 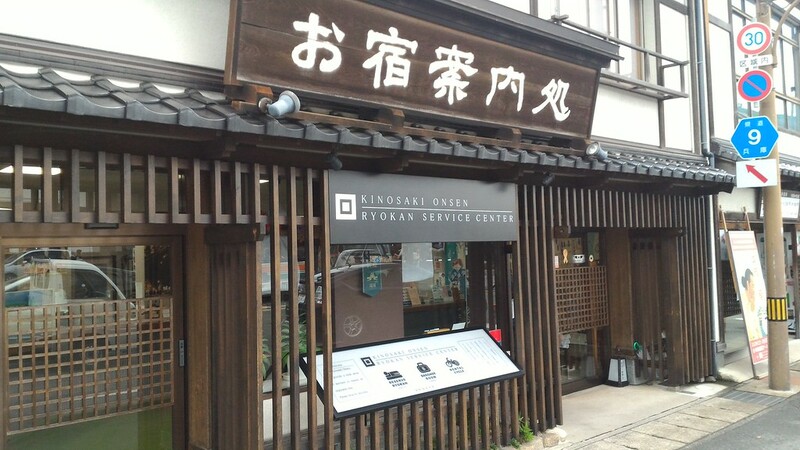 If you have no accommodation booking, head across the street to the helpful Kinosaki Ryokan Service Center, which can help you book lodgings. If you’re just there for the day, you can use the coin lockers next door. 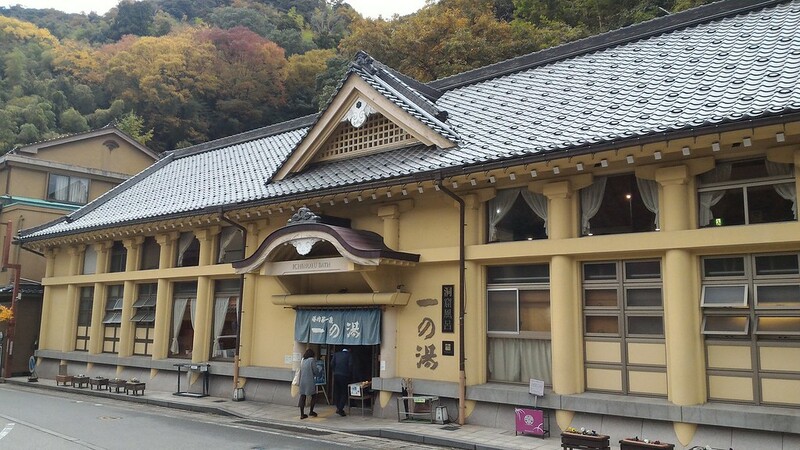 There are the seven public “soto-yu” onsen in Kinosaki. I’ve listed them here in the order of proximity to Kinosaki Station. 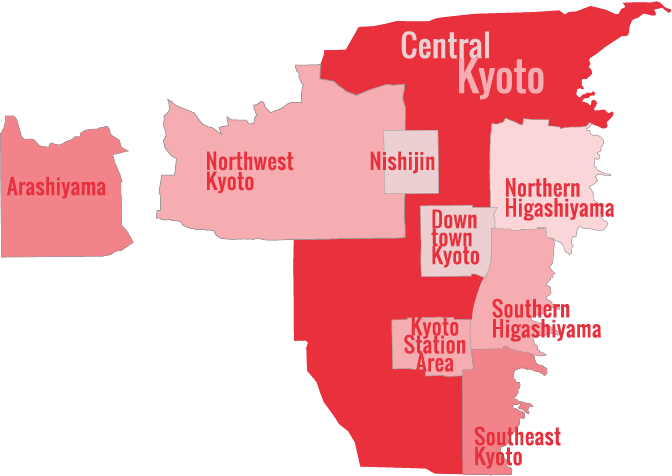 If you’re going to visit only three soto-yu, we recommend Sato-no-Yu, Gosho-no-Yu and Kou-no-Yu. As mentioned above, you can enter these onsen for free if you are staying at one of the town’s ryokan. If you’re not, these all cost Y600, with the exception of Sato-no-Yu, which costs Y800. Most are open around 7am to 11pm, with one day off per week. Sato-no-Yu: Directly next to the station, this fantastic large onsen has a huge variety of baths and saunas, including a salt sauna, Arab sauna and ice-cold “penguin sauna.” There are different baths on each floor, and they switch floors between men and women each day, so you’ll have to go two days in a row to try them all. It’s closed Monday. Jizo-Yu: This non-descript place has a large indoor bath but no outdoor bath (rotemburo). It’s closed Friday. 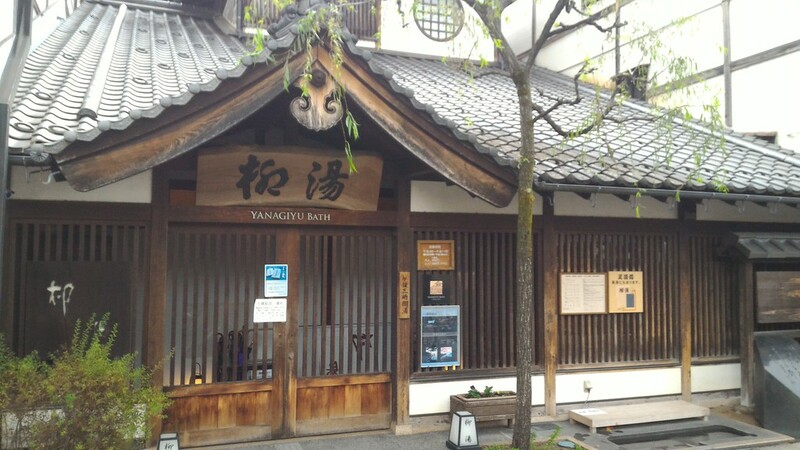 Yanagi-Yu: This onsen has one small bath on either side (men’s or women’s). The wooden construction is lovely. It’s closed Thursday. Ichi-no-Yu: The “cave” bath here in the main attraction. It’s roughly in the center of town. It’s closed Wednesday. Gosho-no-Yu: Modeled on the Kyoto Gosho (Imperial Palace), this large onsen is the most beautiful in town. The two-level outdoor rotemburo are fantastic, with a waterfall rushing down the hill behind the tubs. It’s a treat in fall foliage season. It’s closed 1st and 3rd Thursday of every month. Mandara-Yu: This small bath is located off the main street. The rotemburo here are nice. It’s closed Wednesday. 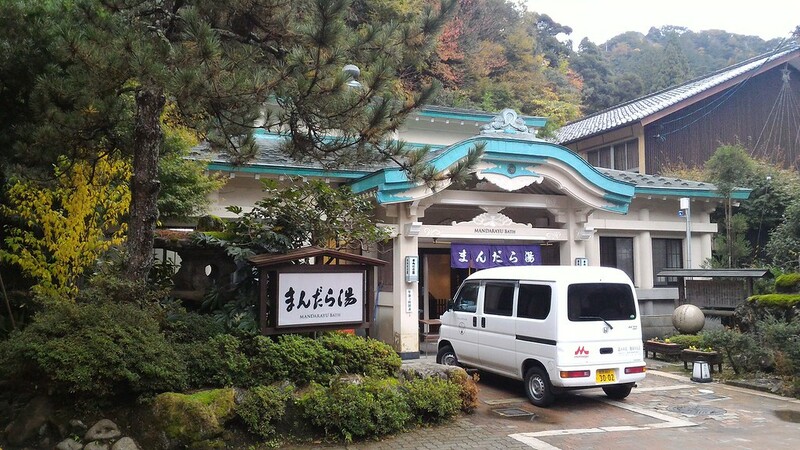 Kou-no-Yu: This spacious onsen has nice indoor and outdoor baths. It’s at the end of town, furthest from the station. It’s closed Tuesday. 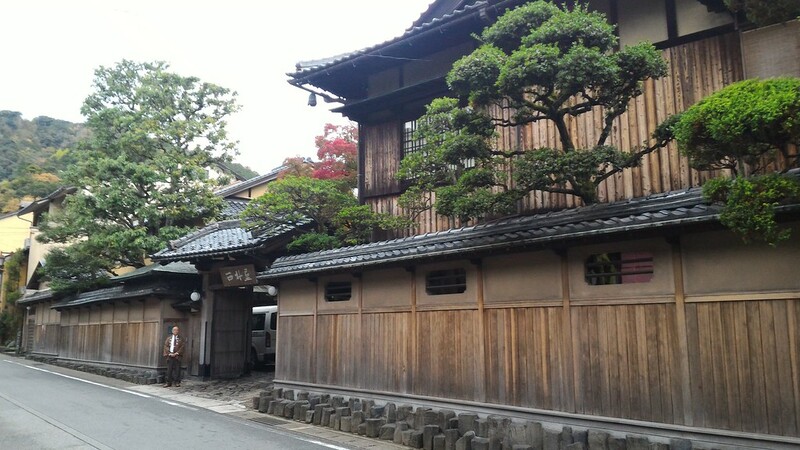 Kinosaki is packed with ryokan of all levels that cater to the people who come to enjoy the town’s onsen. Most of the ryokan are on the two main streets of the town, but there are a few located further out (in which case they operate shuttle vans to/from the soto-yu and station). If you can afford it, Nishimuraya Honkan is THE place to stay in Kinosaki. It’s a beautiful and classic ryokan in every way. Some rooms have their own private onsen baths. The food is superb and the service is impeccable. This beautiful ryokan is another great choice, with upper-midrange prices. It’s between the station and the canal. This is another great ryokan choice. Some of the rooms have wonderful views over the back garden and hillside. Prices here are midrange. 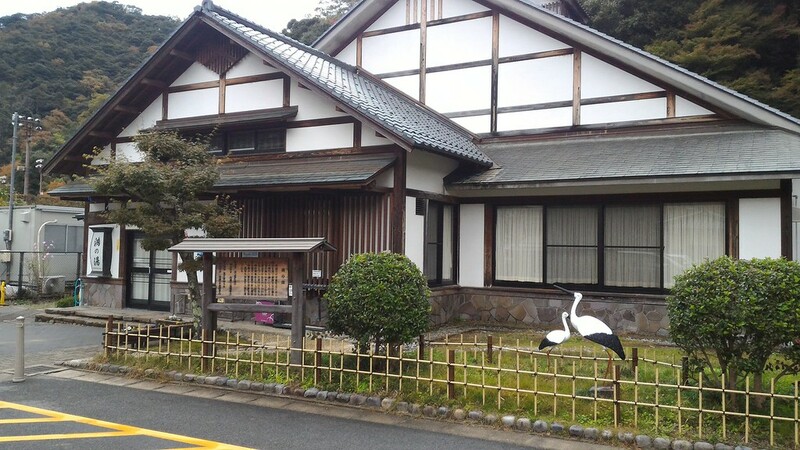 Located outside the center of town, this lovely and welcoming ryokan has nice interior gardens and a fine private onsen. They have a shuttle van that will pick you up at the station and also take you to any bath you want. Prices here are midrange. 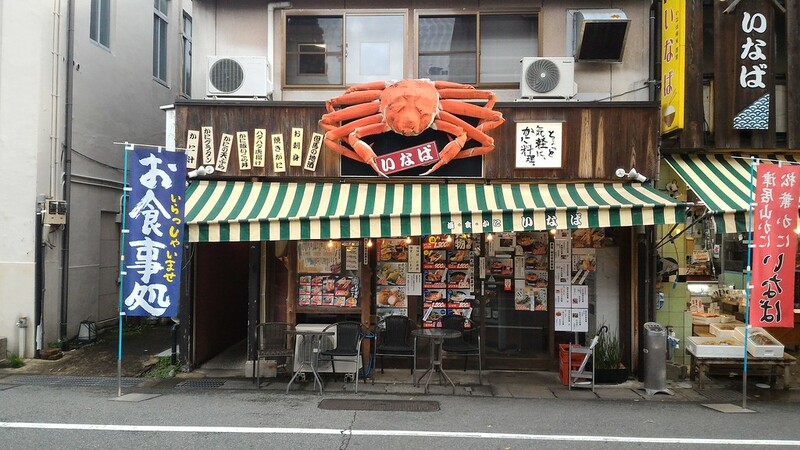 Inaba: Inaba is a gaudy and busy seafood eatery with a very casual atmosphere. They serve all the usual crab and seafood dishes. Buy tickets for your dishes from the vending machine as you go in. The staff can help if necessary. Irori Dining Mikuni: This restaurant on the main street serves Tajima beef, which is the local variety of wagyu. It’s a great place to enjoy a Japanese steak dinner. Family Mart Convenience Store: This is a good place to pick up snacks, drinks and light meals. It’s in the center of town, on the canal. Kinosaki is on the Japan Sea coast, at the very northwest end of Kyoto Prefecture. If you’d like to extend your stay in this part of the world, the obvious choice would be Tango-hanto Peninsula. 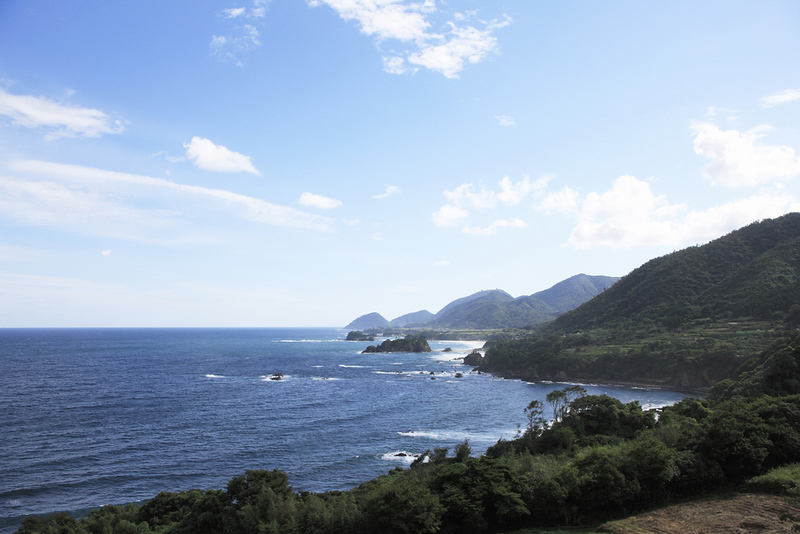 Tango has some fantastic beaches, onsen and coastal scenery and is largely unknown to foreign tourists. You’ll need your own rental car to explore the area. You can rent one down in Kyoto and drive up, or you can take the train from Kinosaki down to Tooyoka (the nearest city) and rent one at the Toyota Rentacar office there (reserve in advance online). See our Exploring Tango-hanto Peninsula page for full details. 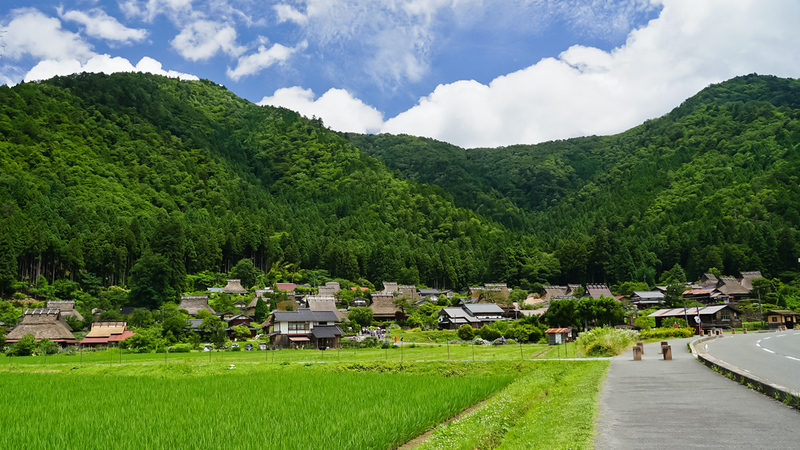 If you’ve got a rental car, you might want to stop in the village of Miyama on the way to or from Kinosaki and Tango. For full details on this area, see our Kitayama Area page for full details.